Only three receivers have broken the tight end stranglehold on this jersey during the history of the Buccaneers and ain't that the Truth? 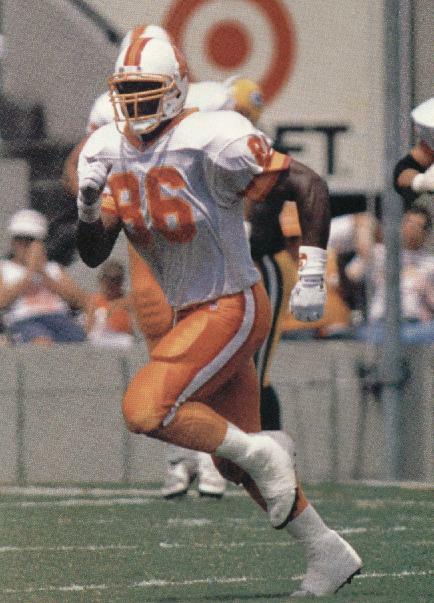 For the Truth was Karl Williams' nickname during his eight seasons in Tampa Bay and four punt return touchdowns and a host of other big-plays earn him the best-ever 86 accolade which is not bad for an undrafted free agent from Texas A&M Kingsville. 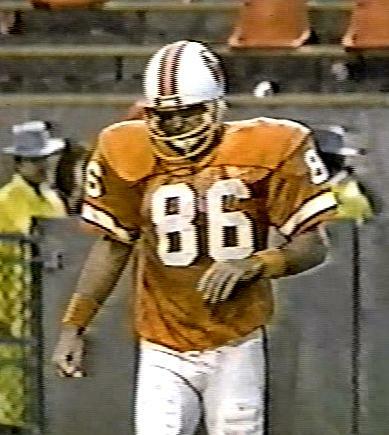 Jim Obradovich was the number two tight end to Jimmie Giles for many years having followed Bob Moore into the jersey in 1978. 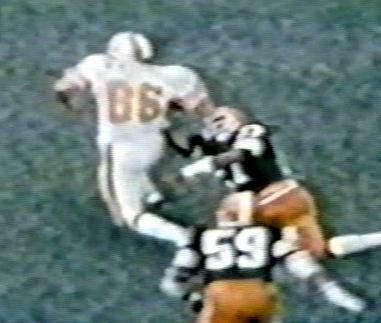 Moore was selected in the 1976 expansion draft and really did not want any part of being with the Buccaneers. 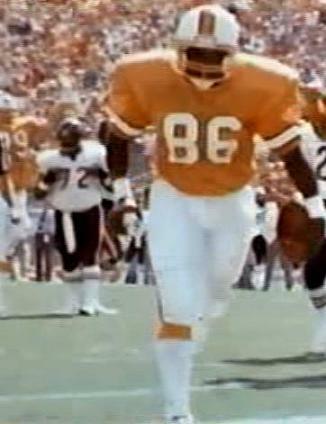 Calvin Magee did well as another undrafted free agent before he ate himself out of a job under Ray Perkins but he did score the very first time he touched the ball in the NFL, a one-yard score in the 1985 season opener in Chicago. And if we were offering a prize for the toughest and meanest player when it came to the locker room and playing field fights, then Tyji Armstrong would win every time. 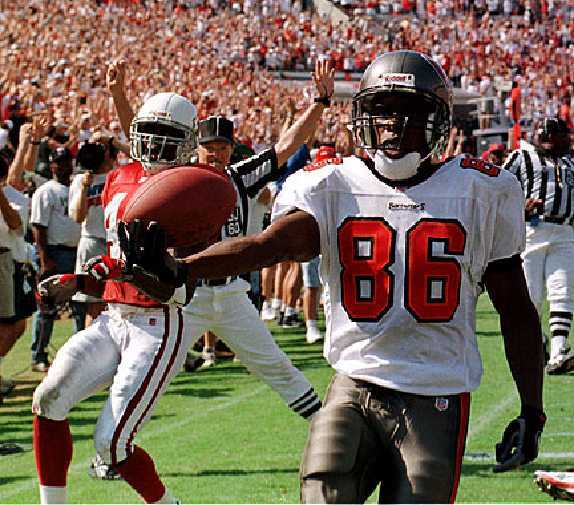 The number was worn by former NFL bad boy Jerramy Stevens, or "He whose name shall not be mentioned on this show" as JP Peterson referred to him on Tampa sports radio. Since then, the list has become even more less distinguished leaving Karl Williams in clear top ownership.